Sophisticated, smart, and stylish, this 2007 Ferrari 430 practically sings Puccini. With a Gas V8 4.3L/263 engine powering this transmission, it is a vastly understated assertion of your dominion over the open road. It has the following options: Rear wheel drive, Pwr rack-&-pinion steering, and 4.3L DOHC MPFI 40-valve V8 engine w/variable valve timing . 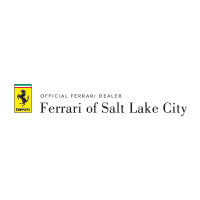 Visit Ferrari of Salt Lake City at 808 South Main Street, Salt Lake City, UT 84101 today.